A couple of weeks ago, I got the opportunity to help out in the video studio at work. You may remember my weekend things post where I shared some photos of the stuff that was made that day. One of them was a hummingbird cake, and I literally cannot explain to you how amazing it was. Typically I don’t like cakes and baked goods with nuts in them. This cake was full of chopped pecans, and I actually took the time to eat around all of them because the cake was that good. 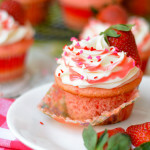 Plus it was covered in a thick layer of the silkiest cream cheese frosting. Ugh. The whole thing completely changed my mind about hummingbird cake. Even when we were just mixing up the batter, it smelled incredible. Bananas, pineapple, and cinnamon? Someone needs to candle that crap because it’s possibly the best smell in the history of things that smell good. I would burn that candle all day, everyday. 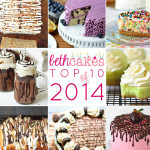 I don’t know if you can tell or not, but I’m really obsessed with that hummingbird cake, haha. I have really profound and complex thoughts sometimes, y’all. 😉 What can I say? When you stare at recipes all day, things just come to you. This banana bread is a little denser than most recipes, so it’s got more of a pound cake-like texture. But it’s super moist from two whole cups of mashed bananas. Plus, a secret ingredient. I was planning on adding some Greek yogurt to the batter, so when I saw Chobani on sale at the grocery store I was all over that. And you know what they had? One pineapple Greek yogurt. It was the only pineapple one left. Perfect! You can use regular or vanilla Greek yogurt in this recipe if you can’t find the pineapple flavor, but I highly suggest it. And we can’t forget about the cinnamon cream cheese glaze. I could just take a spoon to it. I sprinkled some chopped pecans on top because I really wanted to include all of the elements that are in a classic hummingbird cake. If you like pecans, you should totally add some to the batter, and I’ve included that measurement in the recipe below. Preheat oven to 350 degrees and line a 9x5 loaf pan with foil. Spray with nonstick spray. In a large bowl with a handheld mixer, cream butter and sugar until combined and fluffy. Add the mashed bananas, yogurt, and crushed pineapple. Mix until just incorporated. Next, add the cinnamon, baking soda, and half of the flour. Mix until just combined. Repeat with the second half of the flour. Stir in chopped pecans if you want to include them. Pour batter into the prepared loaf pan and bake for 45 minutes, or until a toothpick/wooden pick inserted into the center comes out clean. Cream the cream cheese with a handheld mixer on medium speed until smooth and there are no lumps. Add heavy cream, cinnamon, and powdered sugar. Mix on low speed until just incorporated, then mix on medium speed until completely combined. One of my new life goals is to create a line of food-scented candles. It would definitely include Hummingbird Cake, and the rest would probably involve toasted marshmallows, cinnamon rolls, and peanut butter cups. Ha, eating around the nuts! I’ve totally done that with some baked goods when there’s just one aspect that isn’t as stellar as the rest. This looks divine and I love the added pineapple greek yogurt. What a great idea for an extra flavour boost! 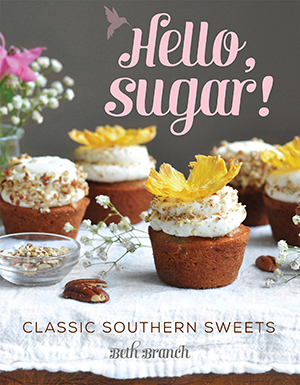 I keep hearing such good things about hummingbird cake. I need to just bite the bullet and make one myself so I’ll won’t feel like I’m missing out, haha! 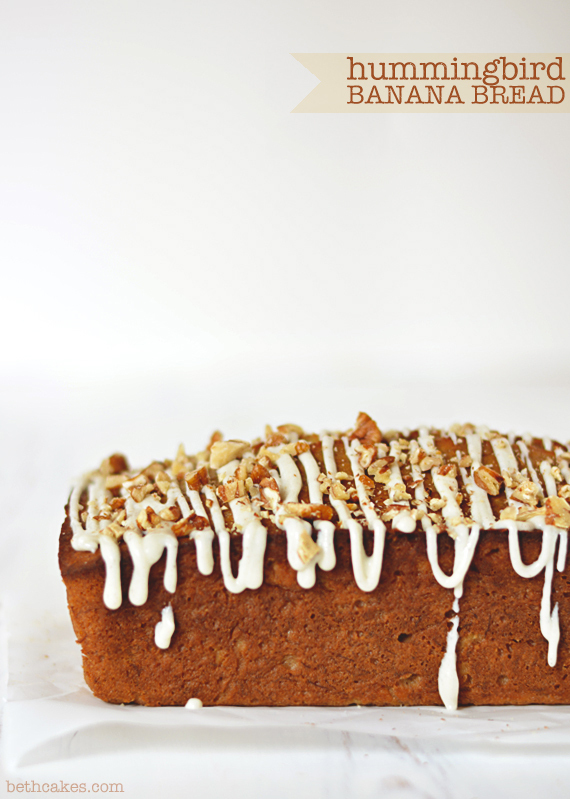 This banana bread looks like a great new twist on hummingbird cake. 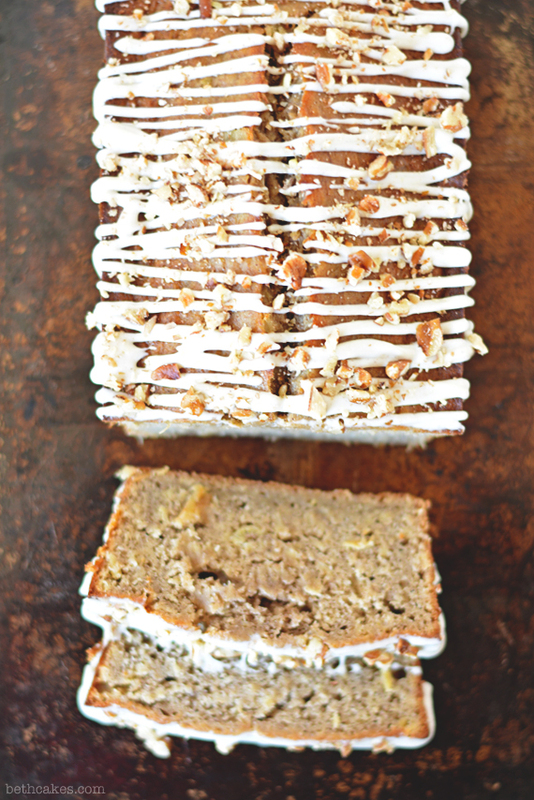 I love banana bread anyway, but if it has pecans, pineapple and cream cheese, it would be so much better. I can’t wait to try this! “Someone needs to candle that crap “… that made me laugh out loud! So funny. 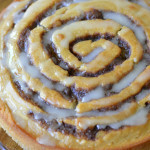 That cinnamon cream cheese glaze looks amazing! 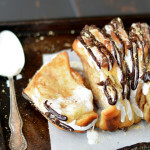 You had me at cinnamon cream cheese glaze…YUM! And your drizzle looks so perfect! What a great recipe! 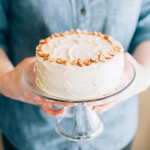 I’ve been wanting to try hummingbird cake for the longest time – I love this idea of a crossover between it and banana bread!! So so good! 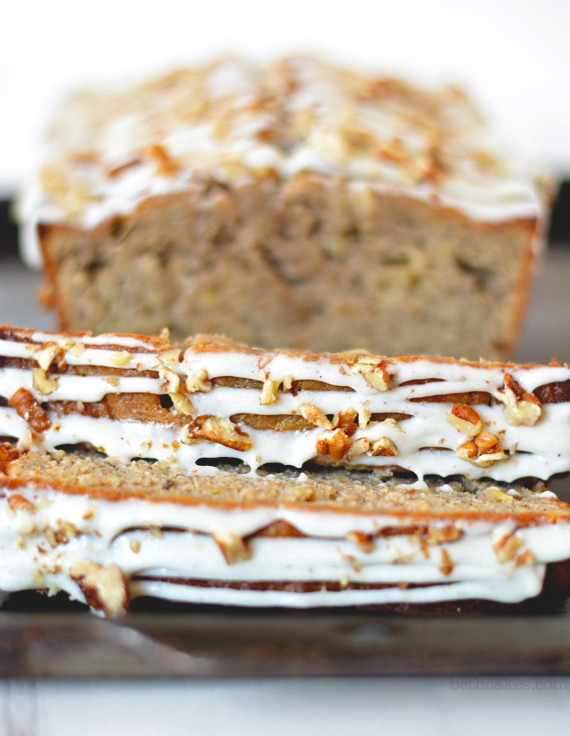 Hummingbird Cake is hands down my favorite..so I’m loving this bread.. Great Idea! Love the creativity on an old classic! The photos are awesome too! This looks wonderful Beth! I love the cinnamon cream cheese glaze on top. It def caught my eye! Mmmmmmm now I could use at LEAST three or four loaves of this banana bread. Some for the freezer, some for immediate shoving into my mouth, 🙂 And I LOVE that you used greek yogurt in them, Beth. I’m totally on that bandwagon and I bet it keeps this banana bread so moist! I recently added yoghurt to a banana bread and was bowled over by the difference it made, but what a fabulous idea to add flavoured yoghurt! I guess you could really go to town with that idea and add all sorts of flavours to all sorts of cakes! Anyhow, for the moment let’s just concentrate on this cake: Delicious! Mmmmm– yum! Did you add the pineapple juice or drain it? Hi, Linda! I used the juice. Just dumped the whole container in the batter! Enjoy! Would you believe that I have a Hummingbird Cake in the oven right this very moment? It’s the first time I’ve made one and it smells wonderful. 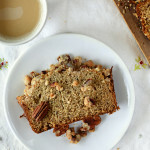 Love your Hummingbird Banana Bread! So creative to use pineapple yogurt. Pinning! “Candle that crap” -I’m so using this expression sometime! Haha! 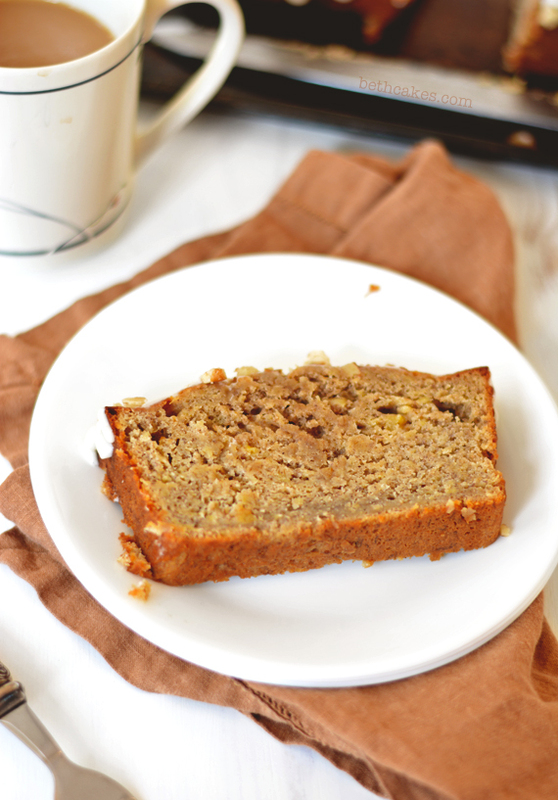 And I love this banana bread idea! It looks so moist. Total awesomesauce! 😉 Pinned! 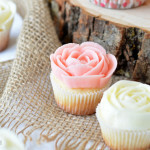 Pingback: Ringin’ in Spring: A Recipe Round-Up.